Pete Carroll has been very public with one of his primary goals for his young quarterback. He wants Russell Wilson to complete 70% of his passes this season. That sounds like a nice round number, and a quarterback as efficient as Wilson would seem a perfect candidate to reach that mark. The task may be taller than you think. Only three players in NFL history have started at least 12 games in a season and completed at least 70% of their passes. Those three players combined to accomplish the feat only four times. The names are legends. Joe Montana, Steve Young and Drew Brees have done it, and only Brees has done it twice. But what Carroll has not said is that besides wanting a historic completion rate, he also wants an explosive passing attack. The combination of efficiency and explosion would make it one of the most notable seasons for a quarterback in league history. Most in the NFL focus on gaudy yardage numbers. You will hear a lot about 4,000 and now 5,000 yard passers. It is far less common to hear about efficient throwers. The reality is that there are already more seasons where a quarterback has thrown for 5,000 yards (8) then seasons where a quarterback has completed 70%+ of his passes (6), even if you lower the minimum to nine starts. The field gets even narrower when looking for quarterbacks who have been efficient and explosive. Yards per attempt is a good way to measure explosiveness in the passing game. Netting 8.5 YPA has been done 75 times in NFL history (min 200 attempts), including by two players (Nick Foles, Aaron Rodgers) last season. There have only been three seasons in league history where a player has completed at least 70% of their passes and had 8.5+ YPA. Two of those players, Montana and Young, won the MVP for those efforts. Brees finished second to Peyton Manning in 2009. More importantly, all three players won a Super Bowl in the year they accomplished this combination of explosion and efficiency. The first question for Seahawks fans is just how far Wilson would have to go in order to reach some of these statistical levels. Take a look at where he finished the 2013 season, and what would change if he completed 70% of his throws. I did not modify yards per attempt at this point, and also did not adjust pass attempts. Because yardage, touchdowns and interceptions are usually projected based on attempts, those numbers do not change. I was tempted to hang them off of completions instead, but it starts to get a little harder to follow. For now, the important thing to understand is that Wilson would have needed 28 more completions last season, or 1.75 more per game, to be a 70% passer. Now, let’s start projecting 2014 if he was at that 70% completion rate and we play with the idea that he will attempt more passes and have a higher yards per attempt. You can see in the first two rows that touchdowns and interceptions do not change because the attempts have not changed. The second row shows what Wilson’s 2013 season would have projected to be if his completion rate was 70% and he raised his YPA to 8.5. More interesting are the last two rows that increase his pass attempts as well. Averaging more attempts per game this season seems likely as the team has incredible strength in the receiving corps, and there will be more short passes and screens to feature a player like Percy Harvin. The challenge there will be to have a high yards per attempt if there is an over-reliance on things like bubble screens. Harvin has never been a big yards per reception guy, topping out around 13.0 as a rookie. If Wilson were to throw 28 times per game, complete 70% of his passes, and average 8.5 YPA, his typical game would be 20/28 for 238 yards. That sounds doable, but Wilson has only two game games in his career where he has thrown at least 28 times, completed at least 70% of his passes and averaged at least 8.5 YPA. One was @CAR to open the season last year, and the other was vs. NOR on Monday Night Football. Looking at the high-level numbers in the tables above seem very reasonable for Wilson. It is not hard to imagine him hitting any one of those numbers individually, and the touchdown projections still feel low. Hitting all of them collectively would truly be an MVP season for a guy entering his third year in the league. Watching him play through three preseason games has done nothing but add confidence that Wilson is primed for a memorable season. We are a week away from finding out what the new normal will be for Seattle’s wunderkind. 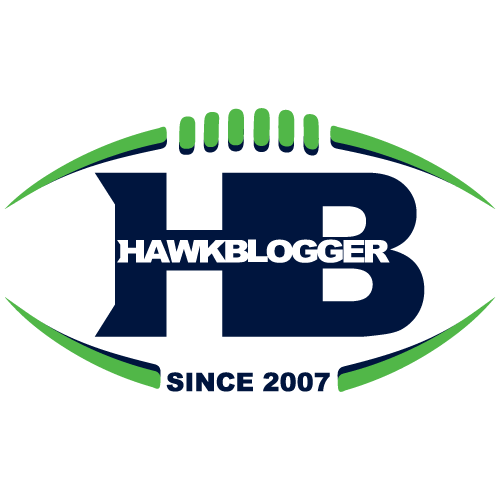 How Worried Should You Be About The Seahawks Offensive Line?